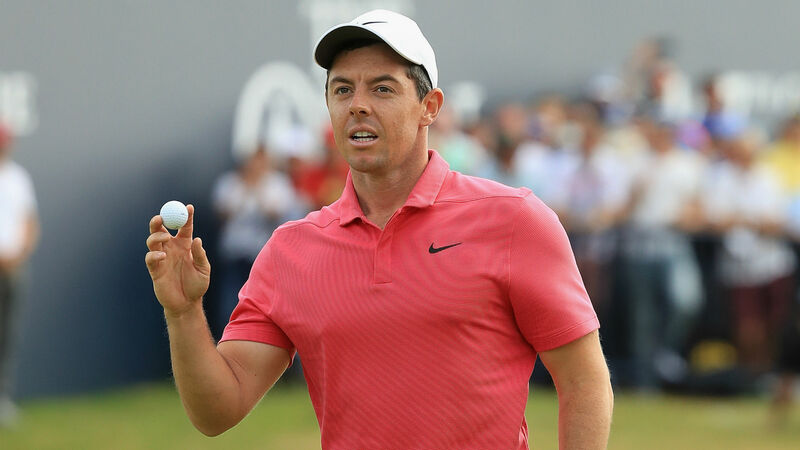 CARNOUSTIE, Scotland — Rory McIlroy was delighted to play a part in a remarkable final day of action at the 147th Open Championship. The Northern Irishman had to settle for a share of second spot after carding a fourth-round 70 to finish two strokes behind Francesco Molinari. His involvement near the summit of the leaderboard was just one thread to the amazing story that unfolded at Carnoustie on Sunday, with Tiger Woods in the hunt and Justin Rose finishing strongly, while reigning champion Jordan Spieth fell away. And McIlroy did not find it hard to take the positives from it all. “It was great, just to be a part of it and hear the roars,” said the four-time major winner. “Tiger being back in the mix. You know, everything. There’s a lot of big names up there. It was nice to be a part of it. “For a while, I thought Tiger was going to win. My mindset was go and spoil the party here. Rose, who almost missed the cut and on Saturday carded the lowest round of the tournament with a 64, struck a similarly upbeat tone after his best finish at an Open. “It just proves to me that I can play well in this tournament, that I can win The Open,” said the Olympic champion. “When I’m in the hunt, I enjoy it. I play my best golf. I don’t back away. I really enjoy it. “It was great to get the crowd behind me. Like I said, I hadn’t felt the energy of the crowd for a while in The Open.